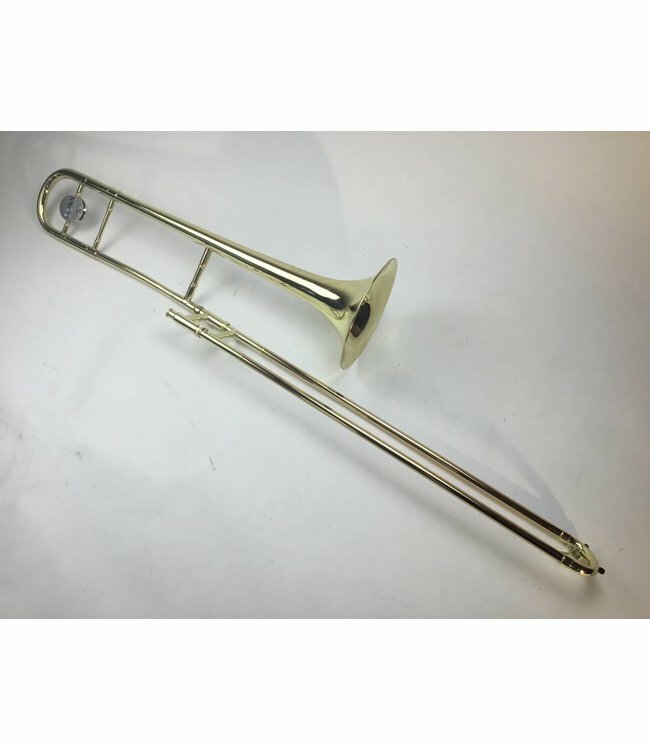 Used Conn “Elkhart” 6H Professional Bb Tenor Trombone in lacquer. .500” bore hand slide, 8” bell flare. Instrument is in good condition apart from very minor lacquer wear on gooseneck, a few minor dings and scratches on bell flare. Knurled ring added to 6H lead pipe and made removable. Inner slide tubes have been replaced. Possible evidence of relacquer around gooseneck and posts. Comes with case.